Our Diosaur has been obsessed with dinosaurs and sharks so for his 2nd birthday we went for a dinosaur and shark theme, but really more shark. We found a pretty rad shark fabric so I sewed little baggies to hold the candies and little toys together. The bags actually doubled as a bandana since I added little snaps on them to secure them together. 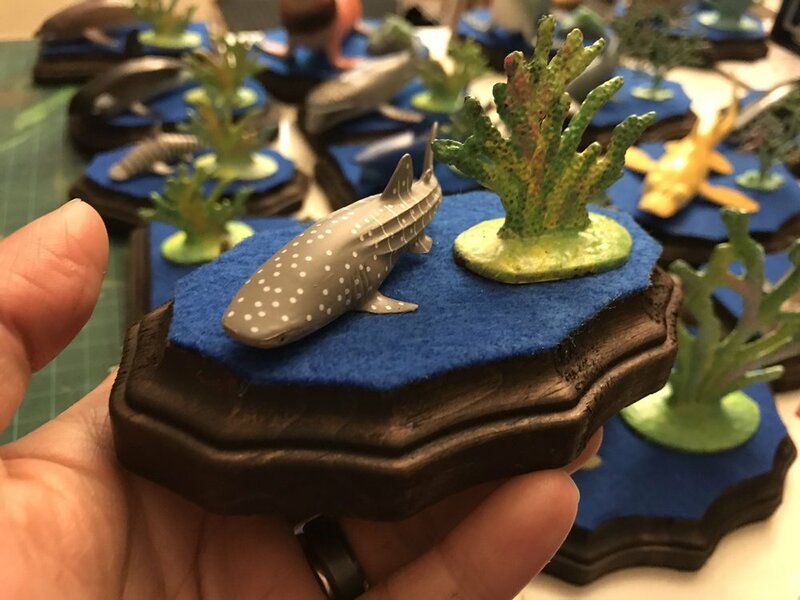 I also made sea creatures plaques for each kid. 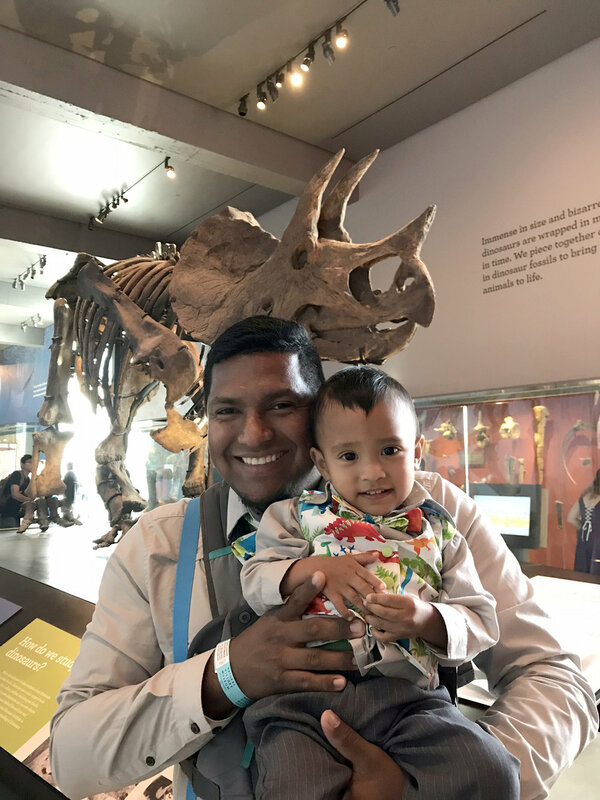 We tried our best to match the sea creatures with the kids personalities to make them really special. I bought these wood plaques at Michaels and they range from $0.59-$1.99. Stain the wood plaques. Make sure to wear gloves and do it in a well ventilated area. I only used a little bit because I still wanted some of the wood grain to come through. With primer, paint rocks/ corals/ stones or other accessories you want to add to the plaque. Ours came in bright colors so I painted them gray and speckles of white to add some texture and make them look natural. Then, I used acrylic paint to add more bright colors to the rocks and corals. Cut felt to act as the "water" base of the plaque. This is optional if you want to glue the items directly to the plaque. I used spray adhesive to attach the felt to the wood plaque to have a smooth surface. Arrange the creatures with their accessories. Use glue gun to secure them on the felt and make sure to add a lots of it. 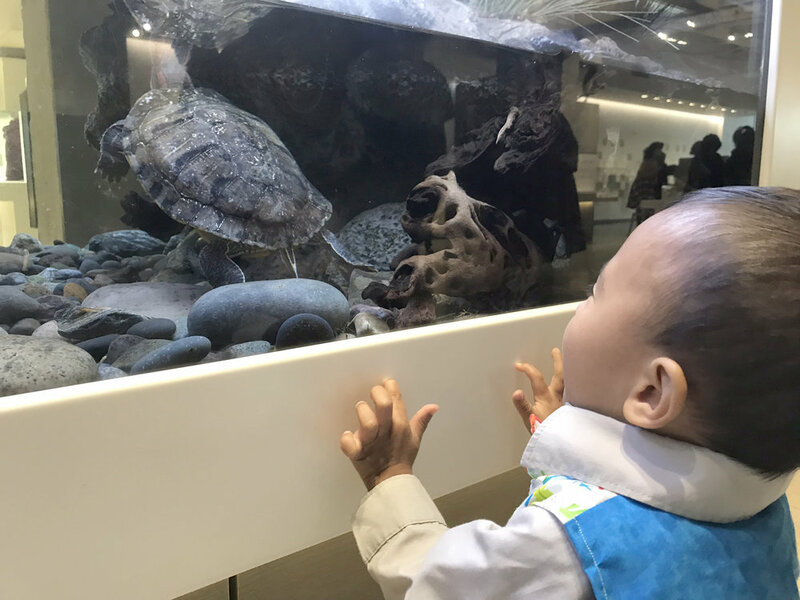 Since the sea creatures were smooth plastic, they often came off so just make sure to keep adding glue or hold them in place until they feel secure. I ended up adding glue on top of the creatures to make it look like it was water and to also add more security to the plaque. I printed out the kids names and used double sided foam to attach it to the plaque. Ta-da! Pretty simple and they look pretty awesome. I'm sure using any kind of plastic toy and different materials would look pretty cool too. The kids loved them and I had lots of fun making them. 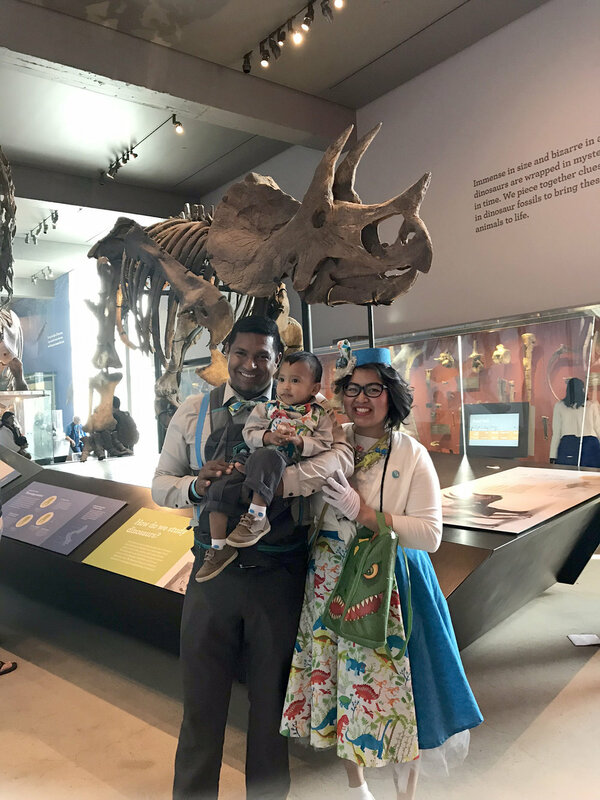 Here's some photos of our little family enjoying the dinosaurs and all the rad artifacts in the museum in our dapper custom made matchy-matchy dinosaur outfits. 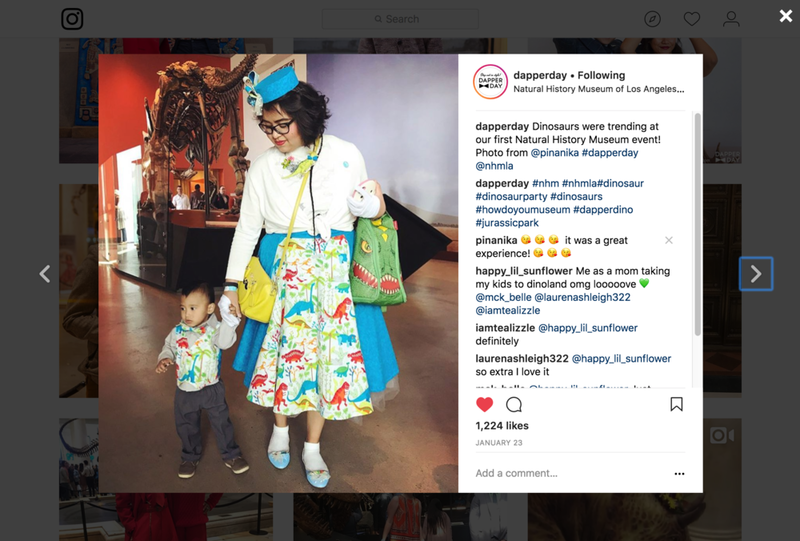 We were also lucky enough to be featured on Dapper Day's instagram and were chosen by Natural History Museum as their January's How Do You Museum contest winner. 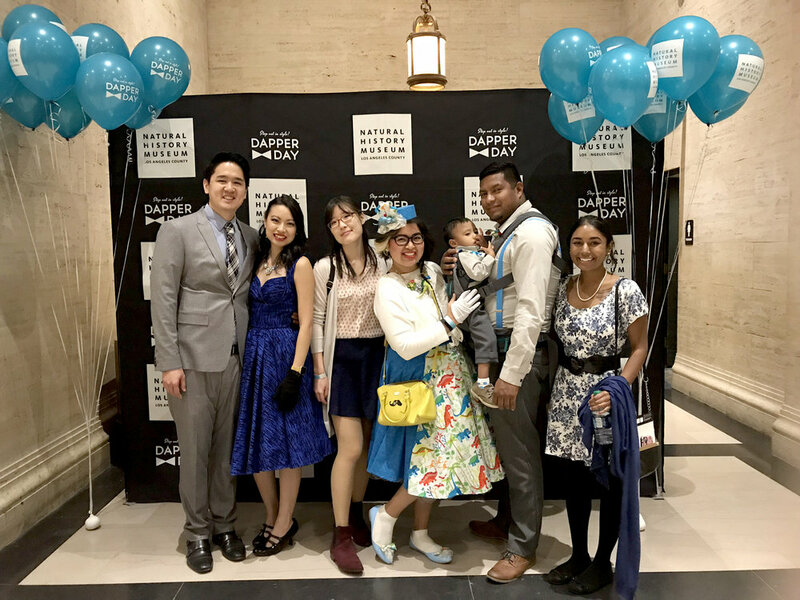 This Sunday is Dapper Day at the Natural History Museum. 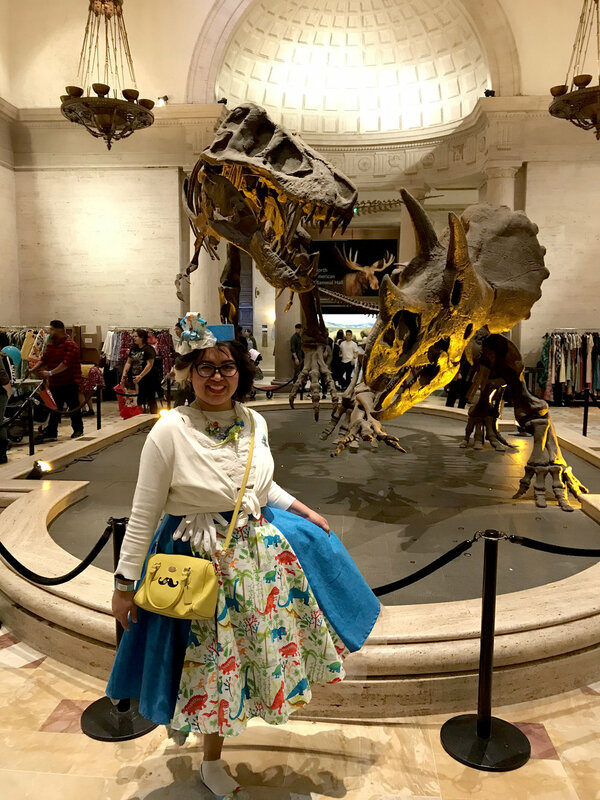 I've never been to the Natural History Museum and I've always wanted to go to Dapper Day so it was a perfect opportunity for both. 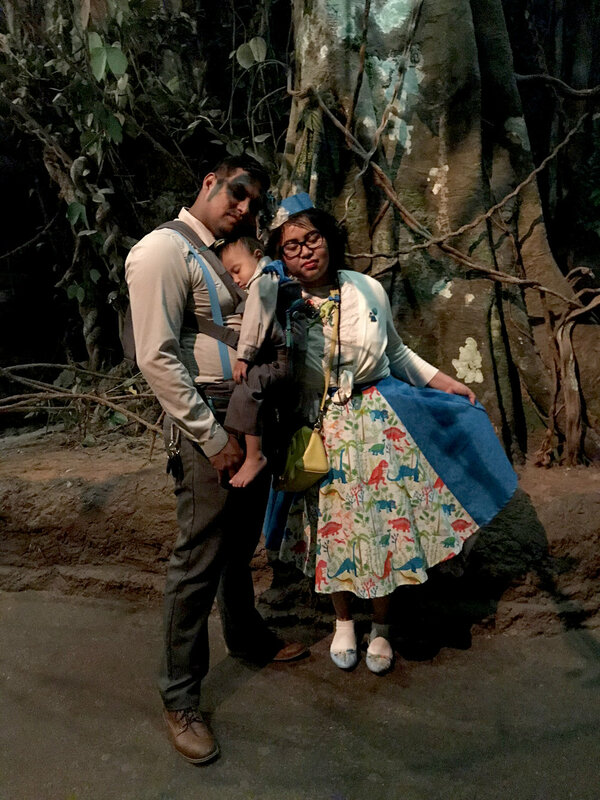 Being the extra mama that I am, I decided to DIY some of our outfits and accessories. I took my dudes with me to Joanne's to pick out some fabric and found these two pretty rad ones. 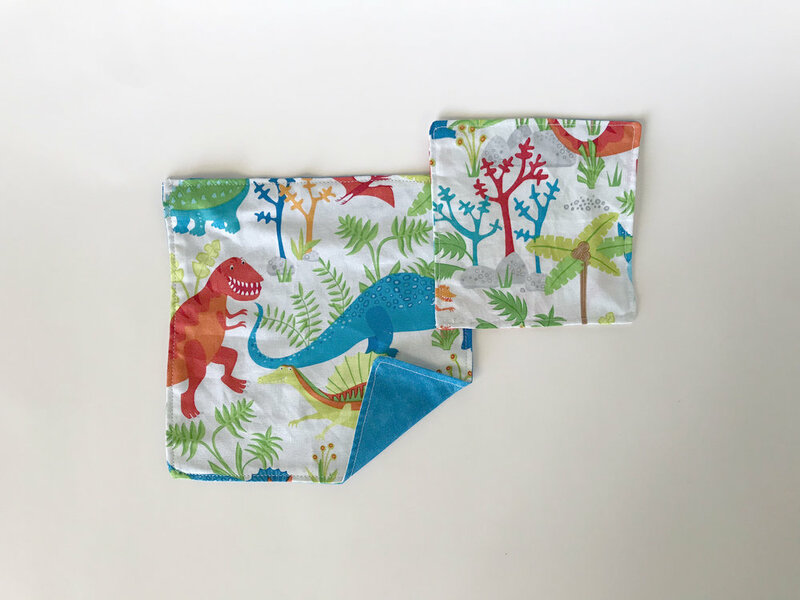 I had to get the second blue fabric because they only had 2 yards of the dinosaur one, but having a more subtle fabric worked out to ~compliment~ the dinosaurs. Skirt: I knew I wanted a full skirt so I found a bunch of tutorials online and used this site to calculate the math part. I taped grocery flyers together to make the pattern for the skirt since I knew I needed a big piece of paper. I transferred the pattern to the fabric and started pinning the pieces together. I sewed the pieces together and my mom helped me serge the bottom of the skirt which made it so easy for me to hem the bottom. She also helped me put the waist band and the zipper. I used these snaps to close the skirt. Bowtie and vest: I used a vest that Dio had as a pattern and followed the same steps as the skirt. I found this pattern online for the bowties as a guide. I ended up deconstructing the finished tie because we couldn't figure out how to tie a tie haha. I made the tie and hand sewed it so it would stay permanently and used another strip of fabric as a neck strap. 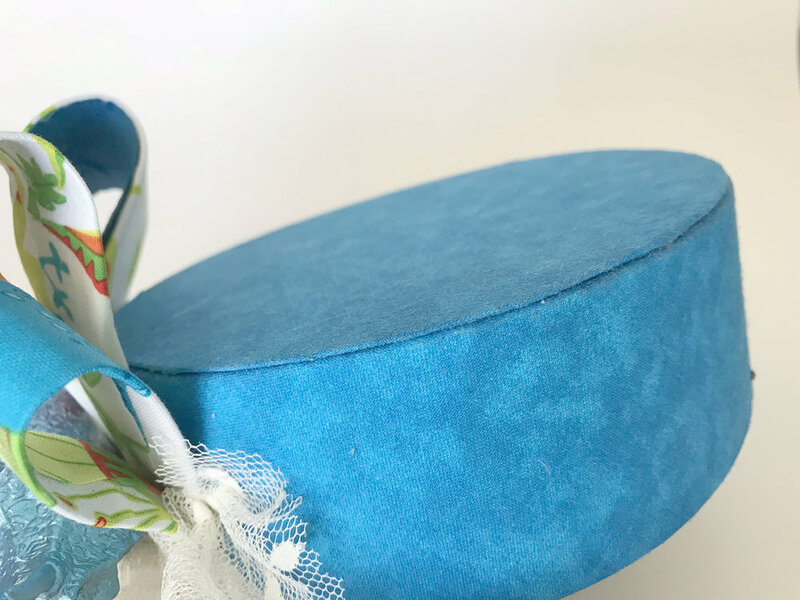 Hat: This is probably the 4th pillbox hat that I've made since they're pretty easy to make. I used to sew the fabric together, but I just used spray adhesive to secure the fabric to the cardboard which was easier and cleaner too. 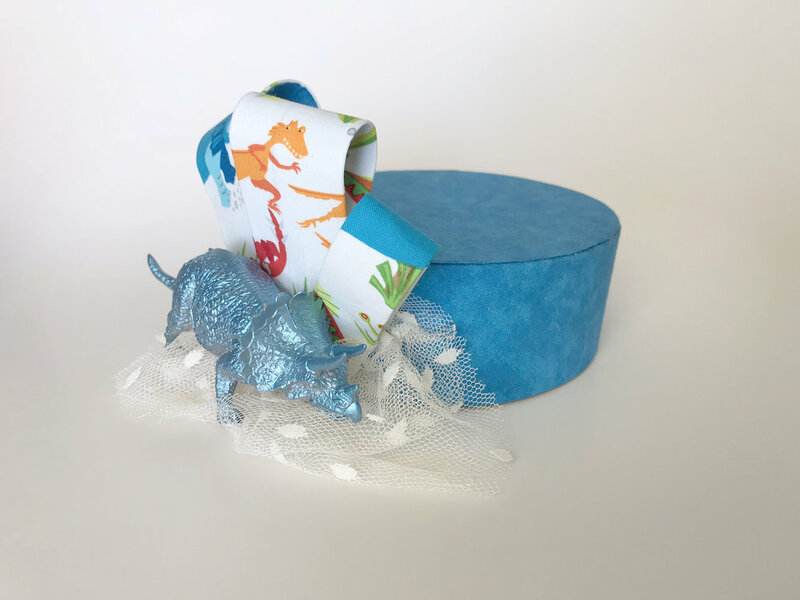 I used a chocolate box as the base and then wrapped the fabric around it. I traced 2 pieces of the round top and a 2 inch strip for the base. I wrapped the strip around the round piece then wrapped both pieced with fabric. Then I wrapped the other round piece and finally glued it on the base. 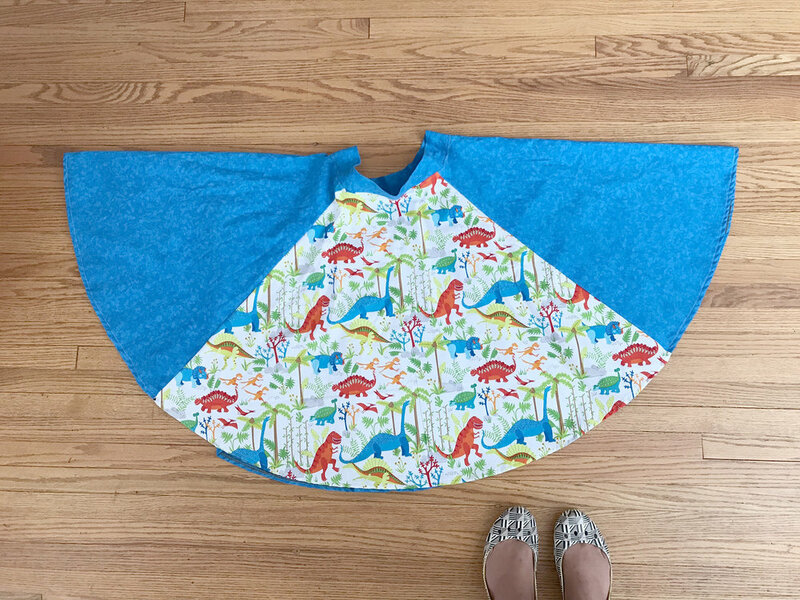 It's important to cut little ~triangles~ on the edges-both the fabric and whatever your'e using as a base- to make sure that it doesn't pucker when wrapping around the corners. I wrapped more of the box with fabric in different sizes. 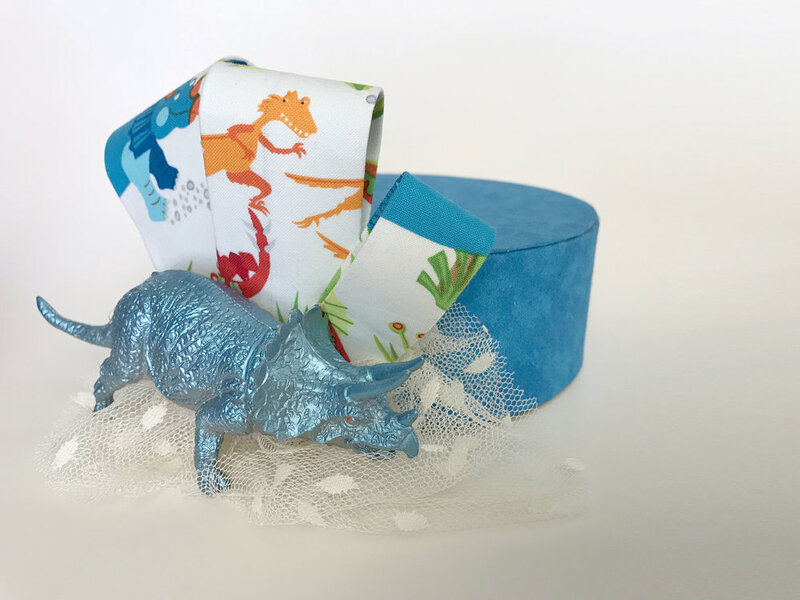 I found this perfect triceratop at the 99¢ store and finished it off with this scrap of fabric I had. Necklace: This dinosaur came with the triceratop from the hat. I wanted it to sit flat on my chest so I cut the other side with a utility knife. 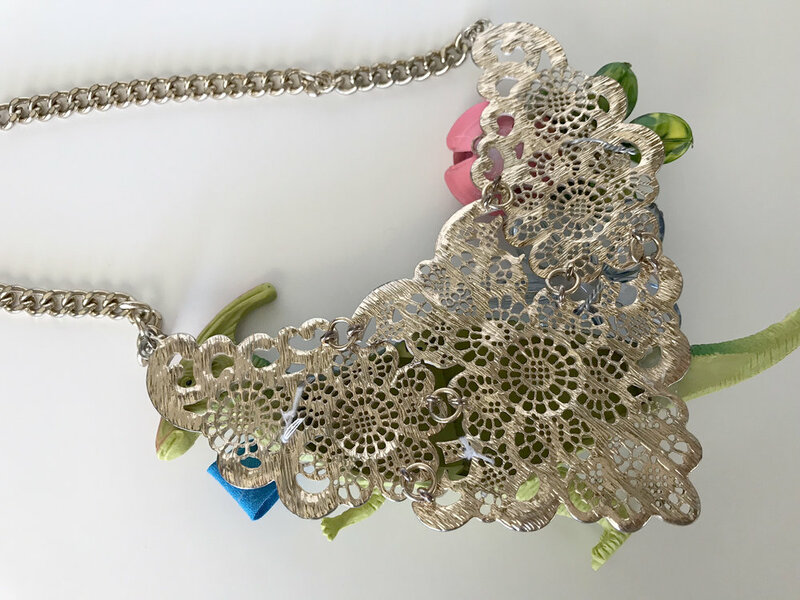 I just added the dinosaur and the flowers from another necklace to a bib necklace with thread and some thin wires. I found these blue suspenders on amazon and these gloves randomly at a Korean super market. Tada! Overall it was fun challenging myself to make something new and repurposing things I already had around the house. 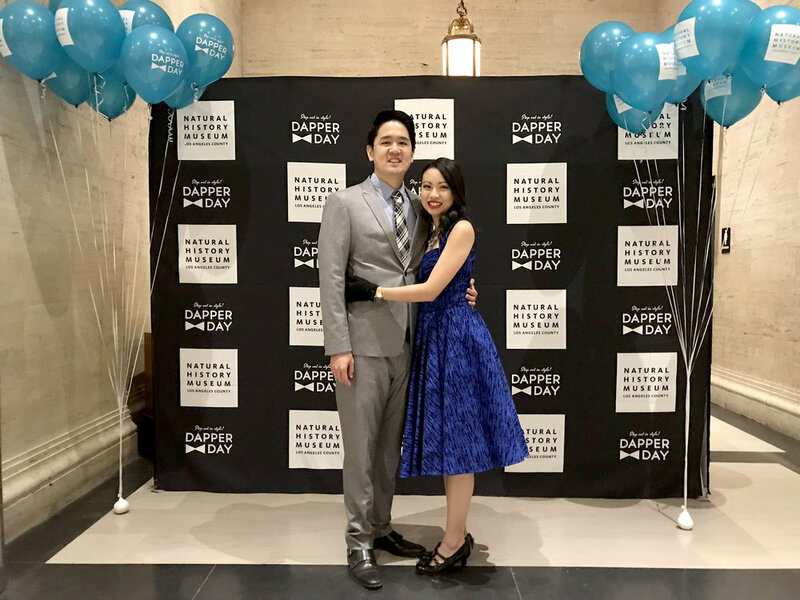 I'll post more photos of the actual event soon with our matching outfits. As promised here's a couple of items that we DIYed for Juddie's 15th. 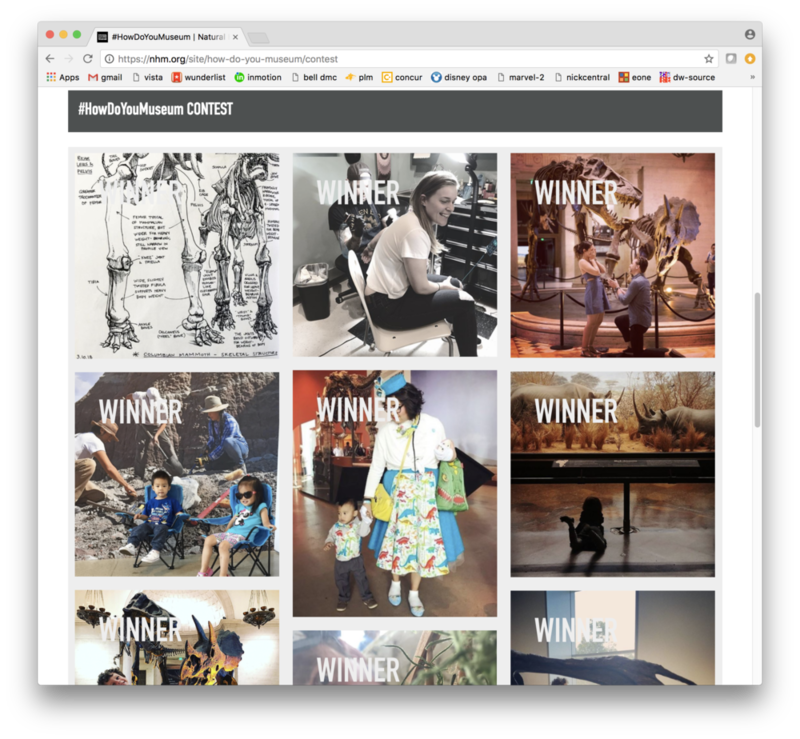 The whole process was super simple so don't hesitate to make your own and take inspiration from them. •record: swap meet. We bought 30 records for $20 from one of our favorite swap meets-Goldenwest in Westminster. We painted all of them ~*sea mist*~ to match the color theme of the 15th. •cds: home. I'm sure we all have tons of CDs laying around that we secretly don't want to throw away. We painted them silver glitter which came out really shiny and had a chunky glitter texture. Some of the cds had dark bases so we had to paint them white then spray them with the silver. •cassettes: home. Samesies with the cds laying around, of course I made sure to keep my Motley Crue and Stevie Nicks out of the 'will paint' pile. We used this black glittery outdoor paint which looked great. •folded paper fan: home. 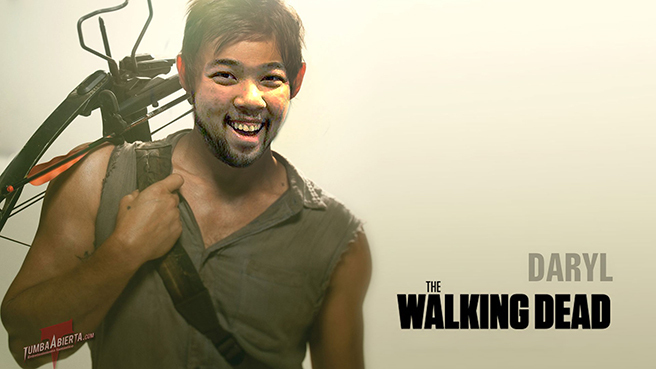 I printed a ton of these and we all sat down folding and gluing them together while we watched The Walking Dead. •foam flowers: downtown LA. I think we bought 6 dozens for around $20. My dude's mom sprayed them with hairspray and sprinkled glitter to add some sass. •random accessories: sister-in-law. She had a bag full of random earrings, buttons, and weird stuff that she figured I'd be able to use for something and she was right. The accessories added personality and an extra layer of weirdness. •diamond wrap ribbon: I don't remember how much it costs but I'm sure it was less than $10 for a looot. They also come in different colors so there's tons to choose from. •spray paint: Home Depot. I think we bought 4 cans per color because we had to make 35 centerpieces. Yeah, 35! •glue gun, E6000: home. I use this stuff on everything! •giant paper clip: 99ç store. We had to paint some of them white because we had different colors. •glitter: downtown. It was a huge bottle that cost 7 bucks. We probably used 1/3 of it. We placed them in old salt and pepper shakers to make the sprinkling a lot easier but of course our whole place was glittering for months. •styrofoam disk: downtown LA. These disks were 1inch thick and come in different sizes and can easily be cut. •diamond wrap ribbon: downtown LA. •wires, glue gun, E6000: 99ç store and Michael's. We used glue gun and thin wires (ornament wires actually) to secure things around the styrofoam disk. The court corsages was easier than I thought. I used the same materials that we already had. I used pin backs for the dudes' and used elastic on the girls'. These would be perfect for weddings, proms, or any fancy events. Since the flower is artificial, they can last fooorever! These masks were used during the baile de surpresa - surprise dance. We bought these masks at downtown, 20 for $10. Total deal. 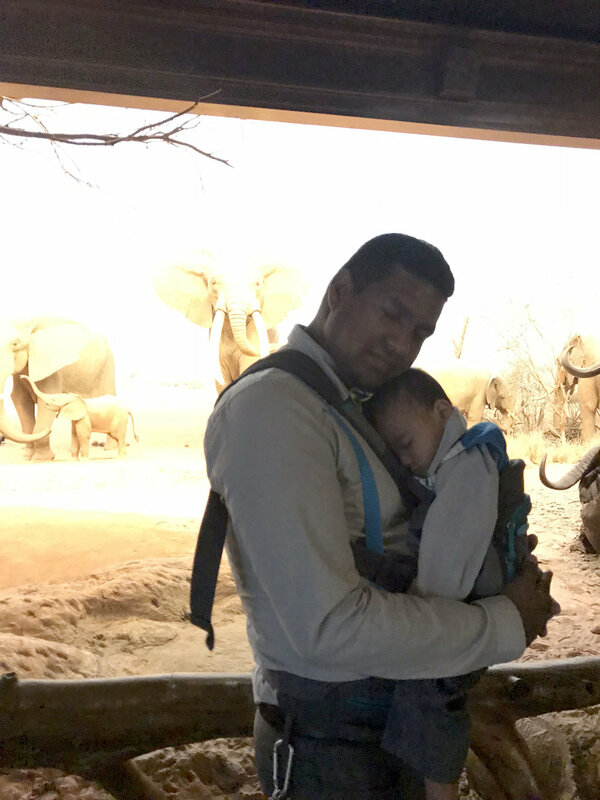 Juddie used this vest in one of their dances. I used elements from the invitations to make things cohesive and cuuute. I printed these on iron on and transferred it on white felt fabric and sewed them directly to an old vest that I had. Ta-Da! Instant 15th tough girl denim cut. You can take a look here to see the invitation and cards that I made for the 15th. 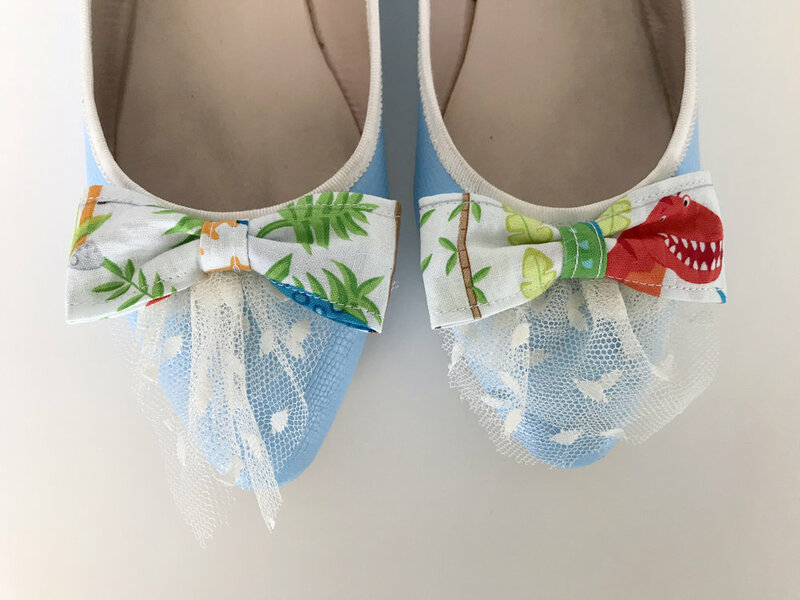 Hopefully this post has inspired you to make your own or simply continue to customize your own stuff-fancy party related or not!